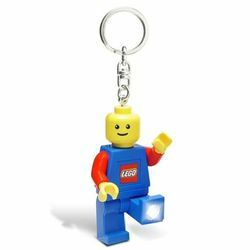 Minifigure Torch Key Chain is a Miscellaneous key chain that was released in 2009. It consists of a minifigure that has a working LED light built into its foot.He's thought to be the Bobert Minifigure. Facts about "Minifigure Torch Key Chain"
This page was last edited on 9 January 2016, at 22:39.